Happy Friday, friends! This outfit is one of my very favorites for fall, and I just couldn't wait to share it with y'all on here. I have really gotten into military style jackets and vests this season and have quickly discovered how versatile they are! I think my favorite pairing so far is this one right here...stripes + military vest! The riding boots add the perfect touch, in my opinion. This outfit is the perfect example of why I love dressing for fall. This military vest is under $100 and also comes in grey! It is amazing, y'all! And this striped tee? I can't get enough. It keeps selling out so quickly, but is still available in the navy with burgundy stripes combo. 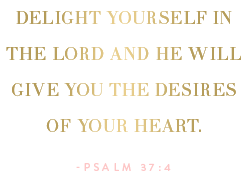 It also comes in solid colors, so I've grabbed up a few and have already gotten so much wear out of them. Okay, love this outfit! 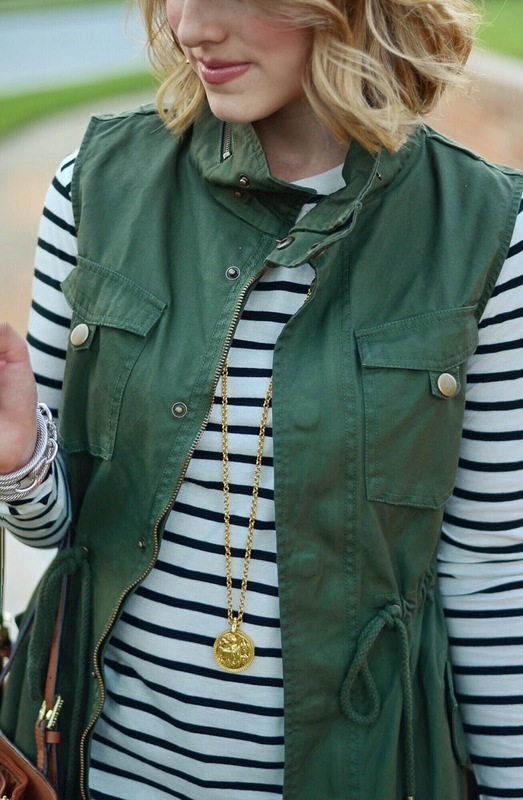 The striped tee is super cute and I love how you paired it with the utility vest! Great look for fall! Can you be an more gorgeous! I seriously love how you styled this vest! Your boots are just amazing too!! Loving that vest girl! 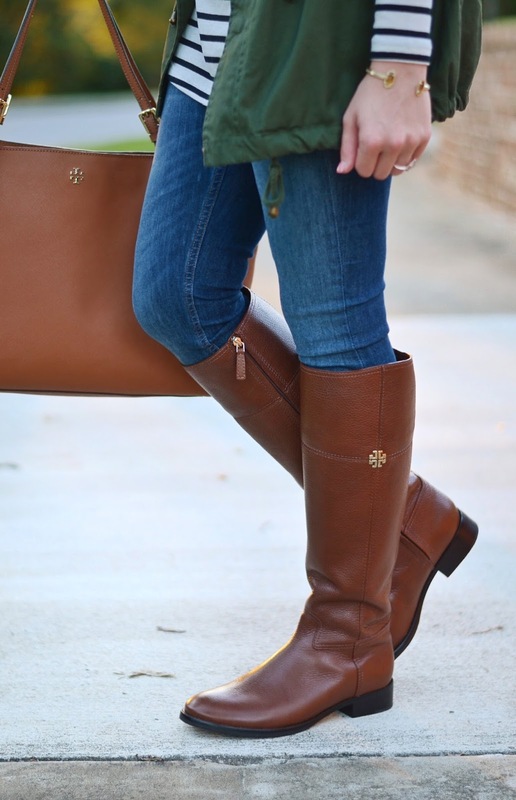 Perfect casual fall look! Such a cute outfit! I love the vest - I think you pulled it off perfectly! Such a cute classic outfit! I have a military jacket that I love but a vest would be even more versatile. I love your vest with the stripes! You look so cute and ready for fall! I am loving this color for autumn! Your curled blonde hair is gorgeous too. You look so stunning, I love that vest its so cute. I am dying over those boots. I wanted TB boots forever haha. Maybe I will get my hands on some this fall. You look fab, as always. I have all the pieces to re-create this outfit, minus the military vest...that means I need to get my hands on it, asap! 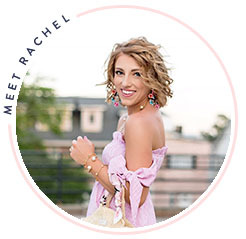 I'm loving how you styled this Rachel! I love how you pretty much style everything but I can definitely recreate this which makes me happy! The combo you've got on is one of my all-time favorites for fall. There's something so classic about a striped tee, jeans and a military vest! I love the vest! I have a jacket that's similar and it's my go-to during the fall!